Emre KoksalThe Ohio Innovation Fund (OIF) recently announced the launch of DAtAnchor, a cybersecurity company spotlighting Buckeye technology. DAtAnchor’s founder, Emre Koksal, is a professor of Electrical and Computer Engineering at The Ohio State University. DAtAnchor began beta testing and onboarding customers earlier this year. Initial clients come from a wide variety of sectors including legal, financial services and healthcare. According to a recent article in Business First, the Ohio State spinoff has raised $1.25 million as it lands its first costumers for the subscription-based software. In a next-generation solution, DAtAnchor embeds security within the data itself, so if data is moved, the encryption is seamlessly moved along with it and the data remains protected, no matter where it goes. In addition, the data’s real-time analysis works well with all applications. DAtAnchor’s proprietary cybersecurity solution embeds crypto-security into the data, tracking and controlling who has access to it based on multiple context factors, such as person, location, type of data, and access modality among others. Koksal said access can be revoked at any point and the crypto-security can be triggered at any time to make already accessed data unusable. The solution automates data governance, which is handled via manual procedures in most businesses. Their work also provides a complete data trail, in order to substantially reduce the overhead in meeting numerous compliance regulations on data security, including HIPAA and GDPR guidelines. OIF reportedly led the formation of the investor group and its principals were instrumental at every stage of DAtAnchor’s development. OIF Managing Director Bill Baumel will also act as an ongoing board member and advisor as DAtAnchor’s offering is brought to market. Michael Hughes, OIF Venture Advisor, Chief Commercial & Revenue Office at ChargePoint and former SVP of Worldwide Sales & Service at Barracuda, will also serve on DAtAnchor’s board. DAtAnchor is the second Ohio State spin-off in which OIF has invested and it is the 13th portfolio company to join its roster of high-growth, Ohio-based companies. Dundee Venture Capital, an Omaha-based VC firm known for leading seed rounds in the fastest growing tech startups in the Midwest, is also investing in DAtAnchor. Partner, Greg Beaufait, said Dundee is confident the DAtAnchor team will change the future of data consumption and protection. Koksal said DAtAnchor is a unique solution to the problem of data loss that companies inevitably face. Its software has strong encryption and authentication, with highly granular monitoring dictating who may access which pieces of data and where. The SaaS-based software created by Koksal was developed through a $70,000 Accelerator Award, funding for which is provided by a joint grant between The State of Ohio Development Services Agency and Ohio State. The university was involved with the licensing and patenting of the technology that DAtAnchor has licensed, and through the license agreement, the university’s technology transfer arm, the Ohio State Innovation Foundation, obtained part ownership of the new company. The monthly DAtAnchor subscription will be available through a simple download and easy configuration. It will initially be targeted for companies that are subject to compliance regulations, including law firms, financial companies, and healthcare institutions. 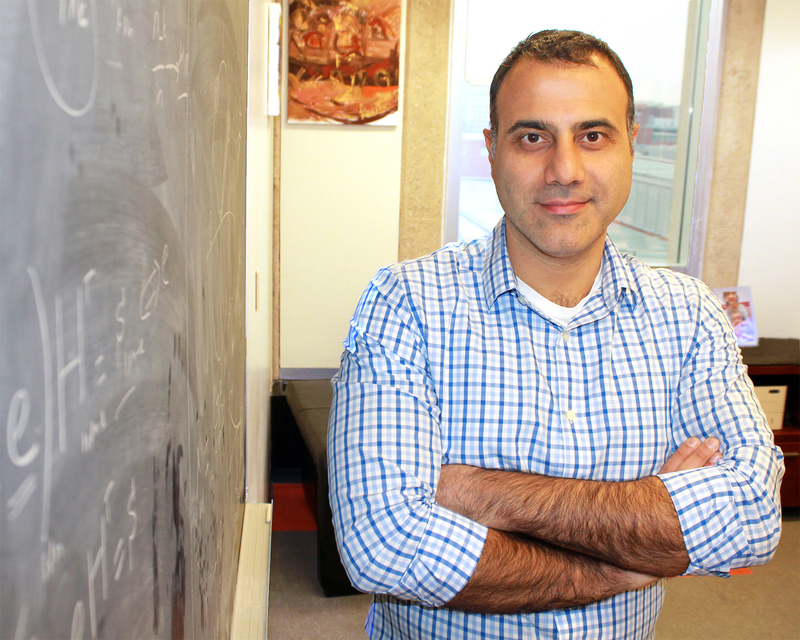 Koksal received his Ph.D. degree from MIT in 2003, and joined Ohio State in 2006. He has won multiple awards including the National Science Foundation CAREER Award in 2011.